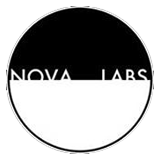 We’re super excited to announce some more epic releases, and some new additions to the Nova Labs family. This New Year’s Eve we’re proud to release the all-new Jordan Mayland & The Thermal Detonators full length disc, “I Wrote It All Down.” Jordan worked hard on this eclectic album, recorded by Phil Young of Wabi Sound, and it will be available for the first time at DG’s Taphouse when 2014 is officially rung in. It’s been a great year for Jordan and the Detonators, opening for The Zombies during the Maximum Ames Music Festival, and having the single “I Can Control You” hitting the airwaves on KURE and IPR. A video for that single will be debuting very soon, and you can read more about it in this week’s cover story in Des Moines Juice right here. Check out the release show at DG’s, when the band plays alongside Mumford’s, Trouble Lights, Mark Mallman, and Doctor Murdock. Wait, what, Doctor Murdock? Did someone say Doctor Murdock? Also on January 25th is the Beach Toys debut album, “Endless Hummer.” Punk covers of Beach Boys songs? Hell yes. That’s a helluva start to 2014. We hope you’ll join us for these shows.